To rank well in the search results you’ll need to publish great content and earn a lot of links. Alternatively, pay per click (PPC) advertising might be a quick way to drive up visitor numbers. We can help with both. 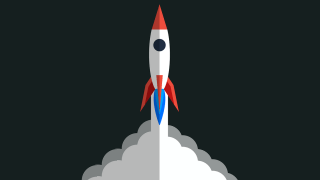 There are free online tools that allow you to see how fast your website is, how many people are using it and identify opportunities where you can improve. We’ll introduce you to a few of our favorite ones. Most elements of a website can be modified. If you want to make changes to your one, then we’re on hand to help you do it. Tell us what you want to improve and we’ll make the changes for you. Maximise your return on investment by encouraging people to visit your website. The more you can attract, the better chance you have of converting some into paying customers. Pay Per Click (PPC) is a form of advertising offered by search engines and social media companies. The amount you pay is determined by how often your advert gets ‘clicked on’ by users (and not how many times it is displayed). First: Results can be immediate. A new PPC campaign can be set up and start generating traffic for your website in a single day. Second: Budgeting is easy. Cap the amount you want to spend each day and your adverts will stop automatically when its reached. Third: Adverts can be targeted: Spend your daily budget effectively by choosing to show your adverts only to specific groups of people (e.g. by location) who are likely to be interested in your business or service. Fourth: Useful data is collected. As performance data on your PPC campaign starts to build up trends will emerge. You can use this to fine tune both your adverts and how you target them. The biggest catch with PPC is that you have to pay for it. Prices will vary by industry, but a typical minimum budget will need to be around £10 per day (£300 per month) if you want to generate a significant amount of extra traffic for your website. Another consideration is that you’ll be charged whenever your advert is clicked on. There is no guarantee that a user who clicks on your advert will convert into a paying customer or even spend very long on your website. We encourage business owners to track both the costs of running their PPC campaign and the extra business it generates. Comparing the two figures will help you decide if PPC is offering you a good return on your investment. Search engines allow a number of PPC adverts to appear alongside relevant keyword search results. They are clearly marked as adverts, but benefit from prominent positions on the page. An advert can appear many times, but the search engine will only charge the owner a fee if it is clicked on. The price charged is determined by the individual keyword. Expect to pay higher prices for the most popular keywords. You get to choose the keywords you want to be associated with and also get to write your own PPC advert text. Set a budget for your advertising. It needs to be one you can afford and its wise to set review points throughout the year to make sure PPC advertising is providing you with value for money. Most people will create their first PPC campaign with Google AdWords. Google are the biggest search engine and have invested heavily in making a PPC system that is suitable for both novice and advanced users. If you ever get stuck, there is plenty of help available online, both from official and user generated forums (and of course we can help you). Once you have selected the keywords, you’ll need to write a few text adverts to display to people. Your adverts should give people a compelling reason to click the advert and visit your website – but be careful not to mislead them. If you promise one thing in the advert text they clicked on (and you paid for), but link to a content that discusses something unrelated there is a high chance that visitor will not stay on your website for very long. As your PPC campaign is allowed to run, the performance data will start to show you which adverts are getting clicked on more than others. Use that information to create new adverts or improve the less successful ones in your campaign. Make the effort to review your PPC campaign performance often and tweak the settings to make sure you’re getting value for money. If you only check one thing, review your ‘keyword search terms’ (the ‘close match’ search phrases Google has been displaying your adverts against) and weed out any that are not applicable to your business or the audience you are trying to attract. Search Engine Optimisation (SEO) is the term used to describe all of the activities that influence the search engine results position (SERP) awarded to a website by search engines. Normally efforts are focused on becoming associated with a particular keyword. First: You do not have to pay the search engines to appear in their standard (‘organic’) search results. Second: Most people will only view the top few results offered by a search engine. If you earn one of these top positions, then you should expect traffic (visitor numbers) to start increasing. Importantly, organic search result positions can not be purchased (unlike PPC advertising). This means a small business which does its SEO correctly can compete on a level playing field alongside much larger or better funded companies for keywords that attract a lot of traffic. Where your website appears in the search engine results is based on it being good source of information (or answer) for the search query that has been entered. How the search engines will assess this is based on many factors, but one of the biggest influences will be the quality/quantity of other websites who have included a link to your site on their one. These links are trust signals to search engines (like Google). Earning more of them will increase your authority on the subject. Try and identify medium volume, low competition keywords associated with your product or service and concentrate your SEO efforts on them. You should be able to achieve results faster and for less effort if you’re not up against a lot of competition. Over time, your website and brand authority will grow and if you can gain lots of links from other credible websites, you’ll reach a point where you can consider going after more competitive keywords with high search traffic associated with them. There are many tools available online to help estimate keyword volumes and traffic. We like to use the MOZ Keyword Explorer and also the free Google AdWords Keyword Planner tools when planning a new SEO campaign or Website build. SEO is a very large subject and there are many third party websites dedicated to the topic. There are many ways in which we can help you employee SEO to market your website and business (and please do contact us if you want our help) – but there are also many elements of SEO you can do yourself which will have a positive influence on your SERP’s and while they may take you a while to implement fully, doing it shouldn’t cost you a lot of money. If you’re interested in learning more about SEO, how to employee some of the techniques on your website and also start tracking your SERP performance; then the following resources are a great place to start your SEO journey. If you want us to, we’re also always happy to recommend more (or lend a hand if you get stuck). 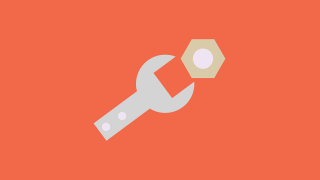 Blog Yoast have created an excellent SEO focused plugin that we like to included as part of our website builds. It encourages SEO best practices as your write new content and offers a lot of additional controls. On top of this, they run a well respected blog which is packed full of guides and advice for people with all levels of SEO experience. You can assess or track just anything you need to know about your website. That data can help you make all sorts of improvements. Here we’re recommending a couple of powerful, free tools that every website owner should consider. Nobody likes waiting for websites to load. 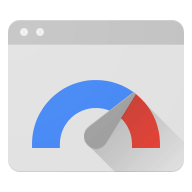 Google have provided an excellent free assessment tool called PageSpeed Insights that will tell you how quickly your website is loading on both desktop and mobile devices. The results will also include any recommendations they can see to make your website faster. Another great free tool to compare loading speeds is the online GTmetrix tool which offers additional details you may want to consider to speed up loading times. 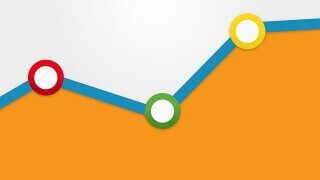 Google Analytics is an incredibly powerful reporting tool that allows you to track your website traffic. See how many visitors you’ve had, where they came from and also how they visitors moved around your website content. Google don’t charge for access and if you can master the steep learning curve, you’ll have lots of reporting data to help monitor the progress your SEO campaign. If you’re interested in getting the most out of the tool, then you can access the Google Analytics Academy for access to official training videos and other materials. On this page we’re sharing advice and links to free tools that you can use to improve your websites performance in your own time. If you know the improvements you want to make, but don’t want to do the work yourself – then delegate the tasks to us and we’ll do it all for you. Please spend a few moments to fill out this contact form and tell us what type of assistance you're after. A member of our team will contact you soon afterwards and be happy to have an informal chat about your requirements. We'll be able to confirm any details needed for your quote and if you have any questions we can answer those as well.